The JRCO Blower Buggy Carrier is designed to hold walk behind blowers on the front of zero-turn and riding mowers. 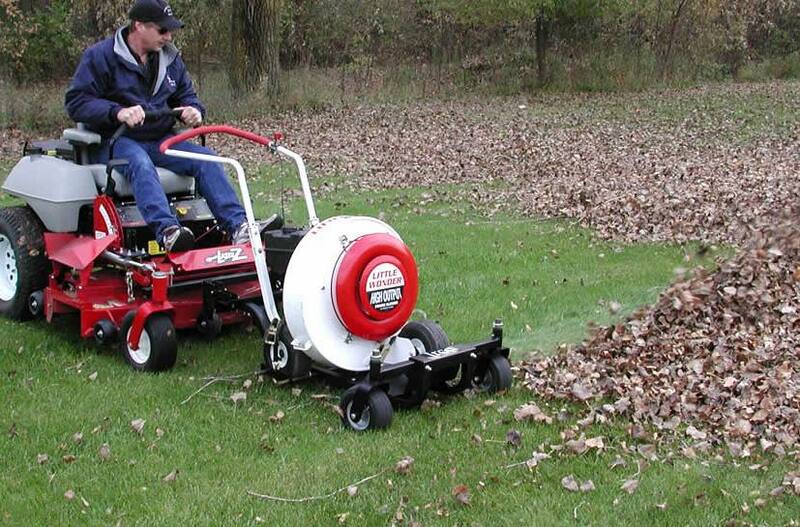 The blower moves leaves and debris quickly while riding on the buggy's heavy-duty tubular steel frame. 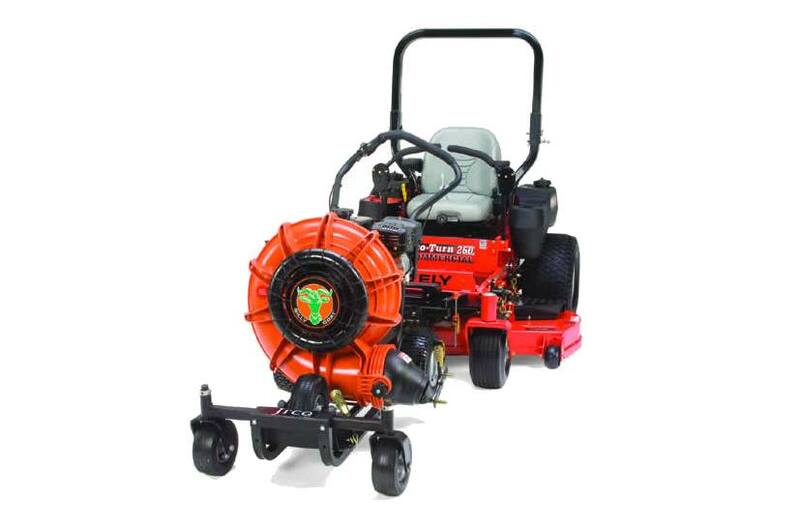 Utilizing the mower's power, the Blower Buggy increases productivity as it decreases operator fatigue. The buggy adjusts to fit most walk-behind blowers. The blower is secured to the buggy by three straps. One person can quickly load or unload the blower. The buggy is supported with two front caster wheels for easy maneuverability and is low profile for optimum operation of blower. The Blower Buggy mounts on the front of zero-turn and riding mowers, attaching to the JRCO mount bar with two clevis pins.